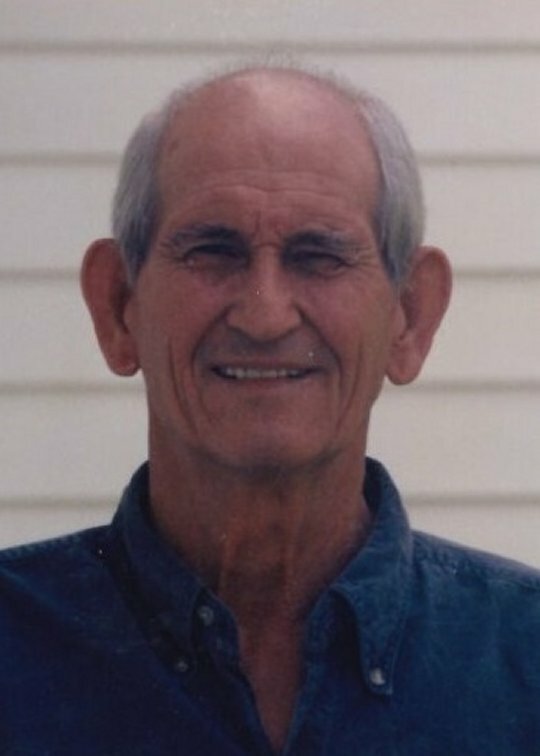 William David Harrison, age 89, of Burnside, Kentucky passed from this life on Thursday, January 4, 2018 at the Jean Waddle Care Center Hospice Unit. David was born on May 15, 1928 in the Pumpkin Hollow Community, Somerset, Kentucky to the late Clate Owens and Martha Upton Harrison. He was a member of Cedar Grove Baptist Church and retired from Hinkle Contracting. David had a genuine love for Jesus Christ, whom saved him many years ago on top of the mountain of his old home place. He loved spending his time with his family, going to church, visiting people in hospitals and nursing homes. He also enjoyed going junking. He is survived by his wife; Ruby Harrison, four sons; David Lee (Melissa) Harrison of the Cedar Grove Community, Ronnie W. (Vicki) Harrison of Oklahoma, Michael C. Harrison and Scotty D. Harrison of the Cedar Grove Community, two daughters; Jean (Lewis) Harris of the Blaze Valley Community and Loretta (Mark) Loveless of the Cedar Grove Community, two brothers; Vernon Harrison of Bronston and Robert (Margie) Harrison of the Cedar Grove Community, eight grandchildren; April Huling, Josh (Nikii) Harrison, Samantha (Jason) Sears, Sabrina (Mickey) Foster, Staci Harrison, Stephanie Harrison, Josh Bell and Brooklynn Harrison, nine great-grandchildren; Annalee, Canyon, Leah, Jaden, Kelli, Madison, Kodie, Dawson and Daulton. David will be missed by all who knew and loved him. Our loss is truly Heaven’s gain. He was preceded in death by his parents, three brothers; John Bill Harrison, Richard Harrison and Carl Harrison and three sisters; Alice Mounce, Ruth Hill and Opal Harrison. Visitation will be after 6:00 pm on Saturday, January 6, 2018 in the Chapel of Southern Oaks Funeral Home. Funeral Service will be on Sunday, January 7, 2018 at 3:00 pm in the Chapel of Southern Oaks Funeral Home with Bro. Dallas Burton officiating. Burial will be in the McDaniel Cemetery. Pallbearers will be David L. Harrison, Scotty Harrison, Josh Bell, Daulton Huling, Mark Loveless and Lewis Harris. Southern Oaks Funeral Home is entrusted with the arrangements for William David Harrison.